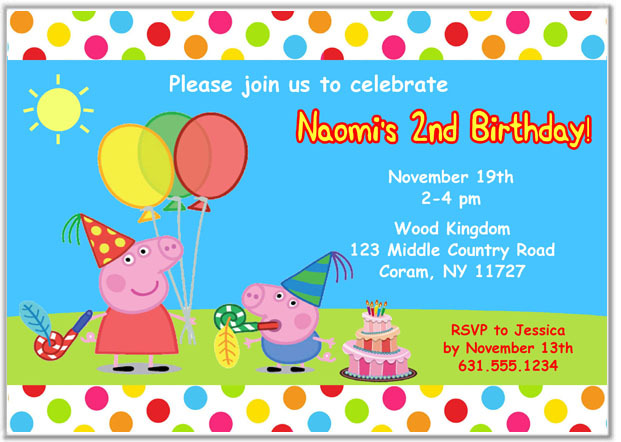 Peppa the Pig birthday party invitations. This invitation features a multi colored polka dot background. These adorable invitations are perfect for a Peppa the Pig themed party.